Anyone who is interested in teaching their young children about computers and robotics should check out http://blog.minibloq.org . It’s really a clean looking project that allows kids to write arduino and other microcontroller code as easy as dropping widgets. In my humble opinion this is a million times better than ALICE. I hope to see more development on this project as well as an opportunity to donate. U.S. schools should consider implementing this into thier curriculum to increasing awareness and interest in Science Technology Engineering and Mathematics (STEM) initiatives. It’s all about the cool factor and motivation. The kids of today use locked down technology that prevents tinkering. It’s not like the early days of the Apple II’s, Atari’s, and Commodore 64’s anymore. 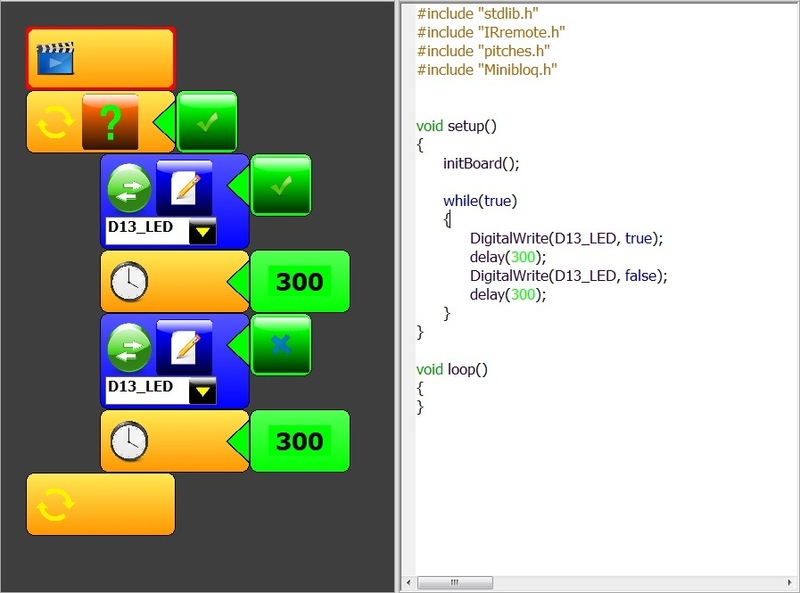 This provides a great connection between hardware and software that kids have been missing.